Just got this from Deek this morning. That's Troy and Faith at the Forum. 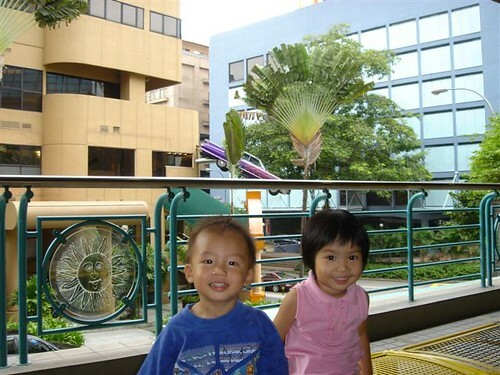 One will grow up to be a Lady Killer, the other a 少男杀手. i love to see kids photos.. esp when they are so so adorable..
hehe.. i can visualise how you look like from the feature of your kids. hahaha. Ya, I just realised I made a huge huge blunder! so paisay.